Apple is hard at work in San Francisco's Moscone Center preparing for the Worldwide Developer Conference 2011 that will be held there next week. 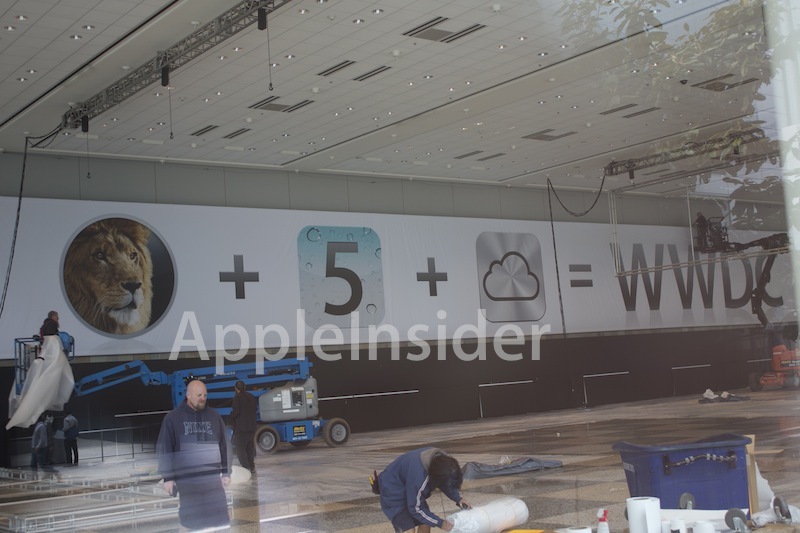 Apple Insider snapped some pics of them setting up the convention hall. Inside there is a huge banner that has Mac OS X Lion, iOS 5, and iCloud icons hung up. They usually do not show any of the banners till the day of the Keynote, but this one is public and easily seen. WWDC 2011 Starts on Monday. Let's see what Apple brings to us.